Erika Peterman and Jenn Ewan worked as attorneys at large law firms that ended up closing their doors. Not knowing where to go or what to do, the pair decided to fuse their passions and create a unique kind of law firm. A new law firm in Missoula is the only one of its kind in Montana, offering legal counsel and business-specific services to entrepreneurs. 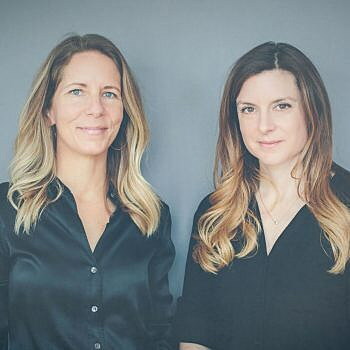 SOVA, founded by Jenn Ewan and Erika Peterman, combined their passions for creativity along with 25 years of experience in law and economic development to create a new approach to traditional legal services for entrepreneurs. They provide in-house counsel such as meetings, legal research, and letter writing – along with assistance in general business and corporate matters such as contracts, large or small-scale employee issues and business expansion. Ewan said they also specialize in commercial and real estate transactions and business litigation. Most business owners not only need help with employee contracts and financial statements, but also need a network to help market and create a brand for their products or services. Ewan said clients don’t just need legal advice anymore, but a full suite of services. Ewan and Peterman worked as attorneys at large law firms that ended up closing their doors. Not knowing where to go or what to do, the pair decided to fuse their passions and create a unique kind of law firm. Peterman wanted to combine her interests as both a documentary photographer and an attorney who focuses on civil litigation, contracts and property disputes. Ewan specializes in business and corporate matters as an attorney, and formerly served as the vice president of the Missoula Economic Partnership. “When we’re talking to investors, we can tell that story through the images and through what we learn. We like to wrap our arms around clients in kind of a different way,” Ewan said. Sova also represents companies seeking funding and can assist in creating pitch decks, structuring their raise, and connecting their clients with investors, Ewan said. The firm utilizes its strategic partners, who specialize in web design, graphic design, in-depth intellectual property expertise, and other services. As founders, Peterman and Ewan can spend more time one-on-one with clients. “Having crossed our own hurdles and also worked with businesses who help people cross those hurdles, I think we’re in a unique position to be able to relate to those people but also be able to help them,” Peterman said. Peterman and Ewan want to help others pursue their unique ideas just like they did. After years of living two separate lives with two different passions, it was time to merge them into one, Peterman said. “I just needed a way to meld my worlds and make myself happy in both worlds. For photography, I also wanted to be doing something, I didn’t want to take photos for the sake of taking photos. I want them to be used in meaningful ways. Practicing law was the same way, I wanted to help people and I want to help businesses grow in meaningful ways,” Peterman said. As SOVA gets started, the pair plans to expand the services the company offers by focusing on other creative ways for businesses to market what they sell. Hiring law students and graduates from the University of Montana is also on the list, hoping to teach young lawyers the importance of making connections and broadening their knowledge beyond law practice. For now, they want to approach law and entrepreneurship differently while having fun doing it.